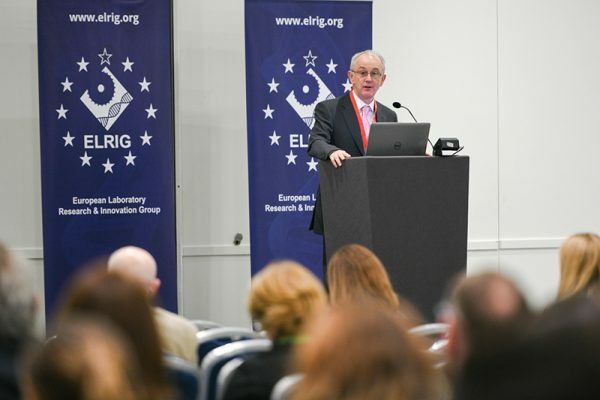 The 12th Annual ELRIG Drug Discovery conference was held at the EXCEL Arena in London on the 9th and 10th of October 2018. The meeting was attended by over 1250 delegates, a record for ELRIG and double the attendance of Drug Discovery 2015 in Telford. There were great keynote presentations from Dame Janet Thornton and Dr Jonathan Milner, alongside a series of scientific symposia addressing opportunities in drug discovery, one of which was hosted by our partners the British Pharmacological Society. To complement the scientific programme, there were a series of workshops, an outstanding poster session, vendor exhibition with over 90 exhibiting companies, excellent networking opportunities and, for the first time, a series of events focussed on developing the skills and careers of Early Career Professionals. • Deliver Leading Science. We continue to aspire to deliver cutting-edge conferences with world-leading scientific speakers. To achieve this we have created a series of meeting brands including Drug Discovery, Research and Innovation, Discovery Technologies, Cell Based Assays, Robotics and Automation and Flow Cytometry & Imaging alongside focussed meetings such as CRISPR in Drug Discovery. We have an established five meeting program each year and attract over 2500 delegates to our events. Alongside this we work with our exhibitors to develop both the content of our meetings and new ways to align the scientific program with the exhibition. • Grow delegate numbers. We have moved our meetings to major science clusters of London, Oxford and Cambridge while growing a local networking event program in other locations. This has expanded to eight events in 2018 across the UK and Europe, that together have attracted over 400 attendees. More recently through the work of the Early Career Professional Workgroup we have launched a program of events aimed at developing the careers of the future leaders in our field. • Grow a sustainable organisation. While less visible to delegates we have established an ELRIG back-office with a high quality and committed team. We have developed new sales and marketing partnerships and developed a series of collaborations with other organisations to deliver leading science. Looking ahead to 2019 I am excited by our scientific program which alongside our annual events, Drug Discovery, Research and Innovation and Discovery Technologies, includes our first meeting exploring the use of CRISPR in Drug Discovery. This meeting will focus on the application of this novel and exciting method to validate targets and discover better medicines. Alongside this we will return to Gothenburg for our biannual Cell Based Assays meeting which will run alongside the Nordic Chemical Biology Symposium exploring the huge interest in Protacs in Drug Discovery. I am also excited to see the growth in our networking event program and the activities of our Early Career Professional Workgroup. We are privileged to work in science at a time with such rapid advancements in technology to help us better understand disease and to enable the discovery of new medicines for patients. Our mission at ELRIG continues to be to provide education, training and networking opportunities for scientist across the research tools, automation, academic, contract research, biotech and pharma communities to advance the science of drug discovery at events that carry no registration fee. On behalf of the ELRIG Board I would like to thank everyone who has played a part in the development of ELRIG over the last three years, and look forward to welcoming you at our events in 2019 and beyond.